Bionic Yarn estimates that the full collection employs an estimated 10 tons of recycled marine debris. The line, which includes T-shirts, hoodies, boilersuits, trench coats, bomber jackets, jeans, and baseball caps in dark blue and black, features subtle detailing, plus original motifs based on its “Otto the Octopus” logo. 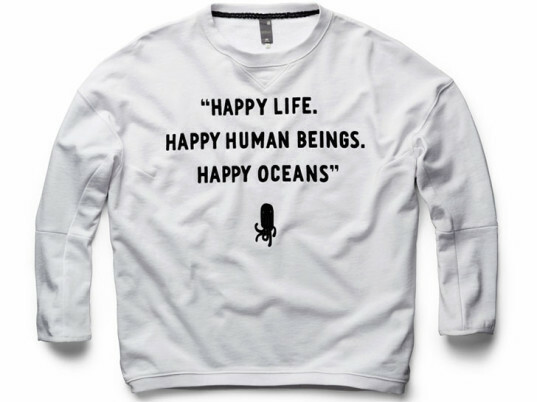 Raw for the Oceans will be available for men and women in September, but it’s already making an impression. The Cannes Lions jury awarded the line with the Grand Prix for its inaugural product-design category.